"Mani Shankar Aiyar told people when he visited Pakistan - remove Modi from the way and then see what happens to India-Pakistan peace. What did he mean by removing me from the way? And what is my crime? That I have blessings of the people?" PM Modi said, addressing a rally in Banaskantha. Gujarat election 2017: PM Modi made the comments while addressing a rally in Banaskanth. Banaskantha, Gujarat: Prime Minister Narendra Modi said today that suspended Congress leader Mani Shankar Aiyar had spoken in Pakistan about "a supari (contract) to get Modi out of the way" to end the deadlock between the two countries. "Mani Shankar Aiyar told people when he visited Pakistan - remove Modi from the way and then see what happens to India-Pakistan peace. Someone tell me what is the meeting of getting me out of the way. You had gone to Pakistan to give my 'supari', you wanted to give Modi's 'supari'. However, people need not worry as 'Maa Ambe' (goddess) is protecting me," PM Modi said, addressing a public meeting in Banaskantha while campaigning for the Gujarat election. Accusing the Congress of trying to suppress the comment, he questioned: "What is my crime? That I have the blessings of the people?" The allegations, a day before the first round of assembly elections in Gujarat, is a sign that despite Mr Aiyar's suspension for his "Neech" slur against the Prime Minister, pressure is unlikely to ease on the Congress. On Thursday, Mr Aiyar called PM Modi a "neech aadmi" (vile man), accusing him of "dirty politics" after the Prime Minister attacked the Congress and its first family the Gandhis at a function to honour Dalit icon BR Ambedkar. Hours later, PM Modi accused Mr Aiyar of making a casteist remark, uttering the word "neech" several times at a public rally. Taking his lead, various BJP leaders pummeled Mr Aiyar for insulting the PM and Gujarat. Mani Shankar Aiyar was publicly rebuked by Rahul Gandhi for his "neech aadmi" remark. Rahul Gandhi, who is on the verge of becoming Congress President, suspended the veteran Gandhi family loyalist, displaying unusual firmness perhaps to contain the damage in Gujarat. "Congress respects the post of India's PM. And in Congress nobody can use bad language against the PM. Modiji can say anything against us...that is why we took tough action against Mani Shankar Aiyar," he said. Finance Minister Arun Jaitley responded by calling the suspension "strategic" and today, PM Modi made it clear that Mr Aiyar - or the Congress - is not off the hook. According to the Press Trust of India, the comments that the Prime Minister brought up today were made in November 2015, during a panel discussion on Pakistani news channel Duniya TV. Asked how to improve ties, Mr Aiyar reportedly said: "The first and the foremost thing is to remove Narendra Modi. Only then can the talks move forward. We have to wait for four more years. They (panelists) are all optimists and say that we can move forward when Modi sahab is there, but I don't think so." 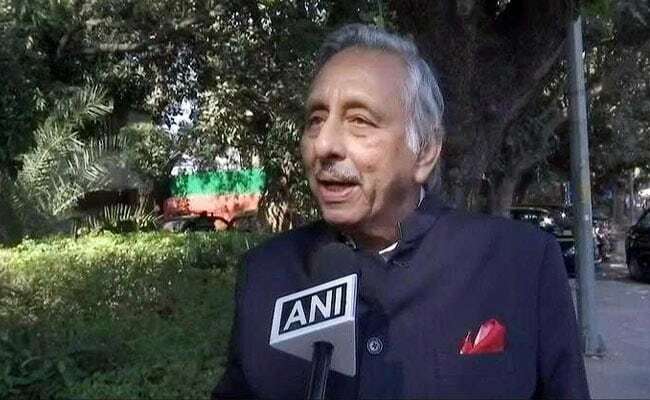 PTI had also quoted Mr Aiyar as saying: "Bring us (the Congress) back to power and remove them. There is no other way (to better the relations). We will remove them, but till then you (Pakistan) have to wait." The Congress had then said Mr Aiyar had denied saying any such thing. Today, Congress leader Sachin Pilot said: "The PM should pick someone his own size."